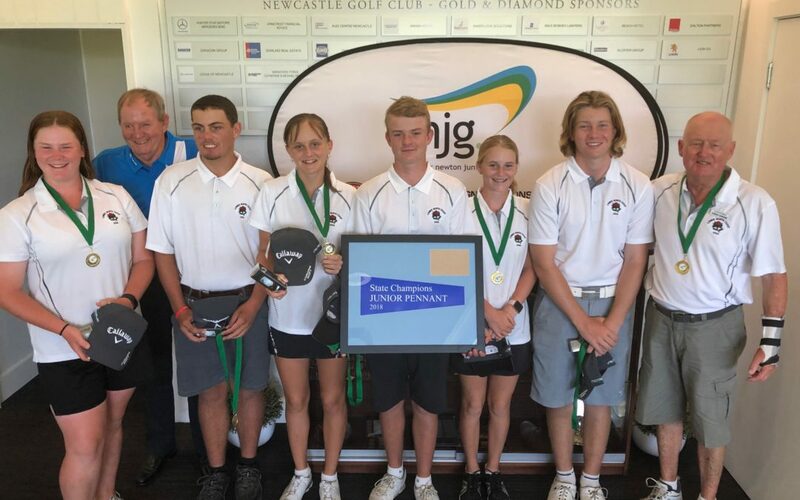 I am delighted to advise that the LNCDGA junior pennant team (Fletcher Murray KCC, Oli Payne PM, Pyper Hollis KCC/Taree, Danny Bisby Taree/Wingham, Madeleine Laws-Farrell PM & Quedesha Golledge KCC/Taree) are the 2018 JNJG NSW Junior Pennant CHAMPIONS. 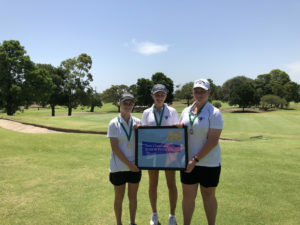 On Monday morning at Newcastle Golf Club in head to head match play, LNC beat Kiama 4 matches to 2 with Fletcher, Danny, Madds & Quedesha winning. On a very hot & steamy Tuesday morning we played Toukley in the final. The matches were close for much of the morning but the LNC finally got the upper hand and came away as 5 matches to 1 winners. Our only loss was Oli, who was one down at the 18th after fighting back from 4 down at the half way mark. All six of our players were simply magnificent and were well led by captain Fletcher in the #1 position. I firmly believe the team spirit and camaraderie among our six players had a big bearing on our win as they continued to encourage each other as the matches progressed regardless of whether they were up or down. I want to personally congratulate all six players on outstanding golf they played which led to their wonderful win. In particularly I want to thank Oli Payne for playing in the #2 spot. Oli has not had the time for much practice or tournament golf during 2018 due to his studies but he put his hand up when we need him, played some great golf and added enormously to the team spirit. 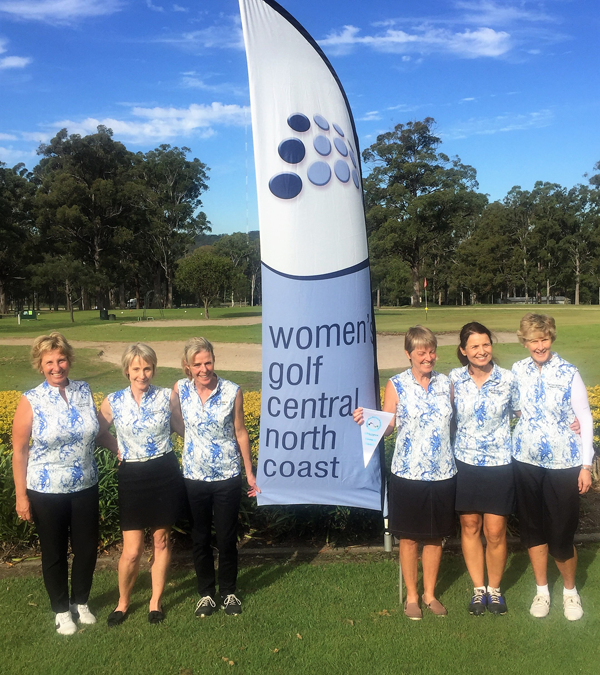 It was a fantastic final at Port Macquarie today – super sunny winter’s day and the course was in great condition. 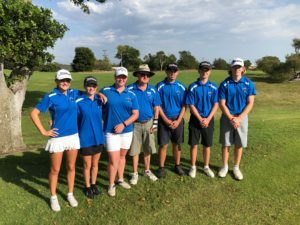 Bulahdelah verses Nambucca Heads Dolphins, two matches each and one match continued up the 19th hole, the eventual winner was Nambucca Heads Dolphins! 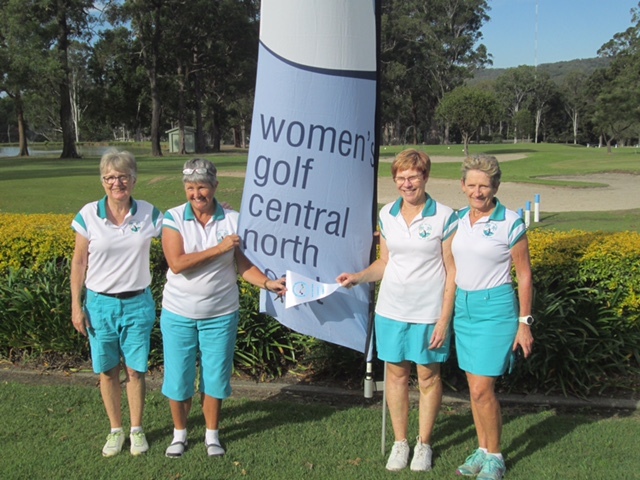 Well done to Nambucca Heads for winning the WGCNC District 2018 Pennant Final. 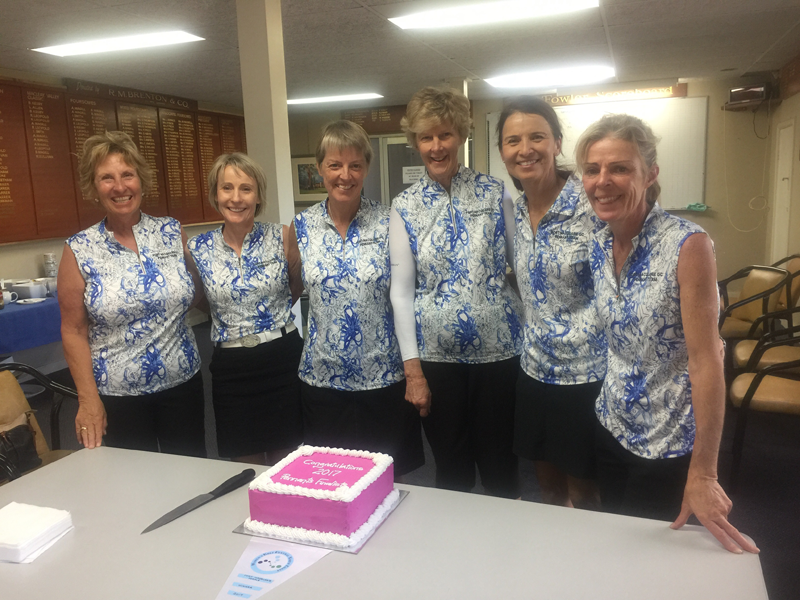 All matches were played in the true spirit of the game and a big ‘thank you’ to Port Macquarie for making their course available and a tasty ‘congratulations’ cake! On behalf of WGCNC a big thanks to all participating Clubs this year and their players and we look forward to seeing you around the traps in 2019 OR at our Annual tournament at Kew in early August. Finally I would like to thank Audrey Crow for her advice, help and knowledge she has imparted over the past 10 years of being involved with WGCNC.